Building Strong Wicked Designs & Absolutely Mind Blowing Visuals for Any Medium! Feature Designer here at 99designs! "She was an excellent designer "
"Great artist! By far my favorite design! " "Fantastic work and great communication." "Understands client's vision of the product. Great designs! " "Great job! Quick and quality work." "The design is fantastic, but the turn around time and speed of communication back and forth of this project was not the best. " "the best designer I’ve ever come across "
"Very good, very satisfied, great person to work with"
"Excellent Work, very easy to work with, great designer!" "Dennis is a great designer and a pleasure to work with - We started almost 10 years ago and recently I needed more work done and he was prompt, patient, and excellent in his communication and follow through. Highly recommend and would definitely hire..."
"Great attention to detail and he seems to think like a brand manager, so suggestions were well thought out and welcome. All files were numbered and organised which made my job easy. 3D mock ups look realistic. Overall, really good work. " "His work is fast enough and amazing quality!! I'm totally satisfied with the work. Thank you! " "Awesome work. The designer contributed great ideas with some very clear thinking about a framework for the brand, was very quick and responsive in turning around new versions, and worked hard to continue to evolve the design throughout the process. Exce..."
"Fast responding and great designs!" "Just a perfect result and very good communication. I can recommend this designer very much and we will work together for very more projects in future"
"Very happy, stuck to the brief 100%. Great designer." "Hello Dennis, Thank you very much for doing such great job for us and being a critical part of our team. Thank You, Liftag Sport "
"Great designer and great end product. Really happy." "He has a great design and was patient and responsive throughout the whole process"
"Great work, always colorful and imaginative!" "Excellent designer... very experienced. High talent." "excellent final product. was a little slower than I wanted, but Dennis came through and delivered excellent work. will hire again"
"Great working with "rembrandtjurin" very happy with the process and delivery of artwork. Would highly recommend." "job went well, would hire again"
"Awesome work done, really happy with the results"
"Dennis is at a world class level with colors and original artwork. I will definitely be hiring him again for more projects!" "Dennis has great design talent and works with us through any needed revisions. He is a pleasure to work with." "I'm pleased with the end result"
"Best designs in the buss"
"Another great job from Dennis! " "Thank you so much for everything. Super happy. I would recommend." "We can't wait to use Dennis for our next project, his quality of work, great communication and attention to detail is truly unmatched!! One of the best designers on the internet! " "Best in the business, hands down"
"Dennis did a fantastic job on our project and we look forward to using his talent again!" "As usual, Dennis did an incredible job. I'm good for now, and will contact him in the future for another assignment." "As usual, Rembrandtjurin (Dennis) did an amazing job! His visual and graphic design skills are the best that I've seen on 99 Designs. He has a super-human eye for design, symmetry and style. This is the second time I've had Dennis work on a project a..."
"One of the most creative man i have ever seen!! Thanks for helping me with my projects!" "Very talented designer that works with you each step of the way to make it just right!" "Great finished designs. Very happy with work provided. Highly recommended." "Dennis is our go to designer. Excellent work as always!" "Fantastic Person to work with:) really a gifted talent." "Best design I have ever seen! A true artist"
"Rembrandtjurin has been excellent to work with. We liked the designs offered and the turn around on brief for deliverables worked well to time frames. Will definitely continue to do business." "Quality work. Would recommend to others for similar projects." "Another great set of designs. Highly recommended. Will use gain"
"Great job! Thank you once again." "Another great design. Thank you"
"Work is good but time keeping to deadlines is poor"
"Great design work as always"
"So happy with the results!" "great work by a great label designer!" "This guy is really a genius!! Always deliver before his deadline!! Tanks!" "Best supplement label designer! Hands down"
"My experience with rembrandtjurin has been excellent. He completed the job above expectations and was very patient with the process for this job. I would highly recommend working with him." "Excellent Landing page design and work as always. Thanks!" "Another great design, thank you. Will have another job for you very soon :)"
"Rembrandtjurin is an extremely talented designer. He's very adept at creating sleek, modern, cutting-edge designs and was able to seamlessly combine my design specs with his own unique creativity to produce a visually stunning product label. He sets the..."
"Great! Want to work again... NOW. :)"
"rembrandtjurin submitted an excellent design for my label competition. I knew straight away that he would win. Then through the hand over phase he made all the modifications I requested without fuss and was an absolute pleasure to work with. I will..."
"Fast and reliable. I don't use anyone else to do my labels. Love his work!" "WOW. No other comment but WOW." "Dennis has always done great work for us and is very easy to deal with. He is also patient with our seemingly endless delays in getting these done :)"
"Thanks for the prompt and professional service rembrandtjurin!" "Great Job! Dennis was always open to listen to my comments and willing to work on them. Great talent and enthusiasm, great combination that deliver outstanding results!!" 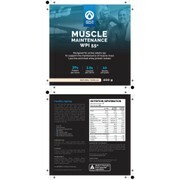 "Dennis was a huge help in this product label. He was extremely devoted, and does everything he can to get the design to look exactly how you want it. Thanks"
"I was very impressed with the quality of work done by rembrandtjurin for my labels. It is great to deal with a designer that is so responsive to client's needs, deliver results in timely manner and is willing to make the process so easy and effortless. ..."
"We liked to work with rembrandtjurin. Our cooperation has been very fruitful until now. Andrey"
"Best Designer in the business! Hard to find anyone else like him. Not only best quality work.... Very honest person who provides service after projects are finished. " "rembrandtjurin was wonderful. His original design was inspired. He worked with me through several iterations, lots of little nit-picky stuff I wanted to see, and he did it with grace, making me feel comfortable, and always coming back with better ideas ..."
"Rembrandtjurin was great to work with, he was very responsive and had great input. I will defiantly work with him again." "What can I say - Rembrandsjurin is hands down one of the best designers on 99designs. He is a great guy, pleasure to work with and does outstanding work. Thank you again and I wish to work with you in the future AA"
"This guy is very very good! Great work! Will definitely use him again!" "Highly professional Designer with quick follow-up and implementation of all customer requirements. Thank you for the great work!" "Skillful designer with very high quality graphics." "RJ one design based off of detail in the label. Very few changes were asked from initial label submitted. There were other labels we liked just as well BUT Communication was key! The designer went above and beyond to make sure we were taken care of. I w..."
"We couldn't of been happier with the designs we received from rembrandtjurin. Communication throughout the whole process was incredible, and we hope to work with them again in the future!" "Great Designer. World Class! Very happy with ease of communication and ability to understand my needs and quickly make changes. Would highly recommend!" "This is the second time we have used rembrandtjurin, and again we could not be happier with the results. If you need packaging designed look no further than rembrandtjurin. " "Rembrandtjurin was able to produce a stunning design for our unique new item. Her use of color and design elements separated her from other designers. We are very happy with her design." "RJ is a very competent and active designer who easily captures the imagination of what the buyers wants. I recommend you to invite RJ to your contests and consider RJs work." "Excellent work... I hope RJ joins all my contest. " "Rembrandtjurin did a great job designing the landing page websiter and developed a exciting new logo. When I needed to make changes in copy or design elements he was able to make them quickly. 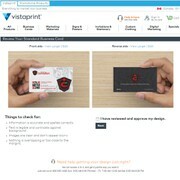 He selected pictures that have made the website look and fe..."
"This designer was able to put together some great designs that really fit what I was looking for. I am very pleased with the final design that was put together for me. " "Rembrandtjurin is the consummate professional...with a lively sense of color. He is courteous and prompt with excellent graphic designer skills and instincts. We intend to use him in the future, his winning design for our SOLDIER FUEL Energy Bar wrapp..."
"Rembrandtjurin did a good job and was able to modify the designs to how I wanted them to look. It's important for a designer to be able to understand a project, and rembrandtjurin was very effective with this. Good job."